California, Delaware, and New York all have new regulations for supervisor and employee sexual harassment training. Are you prepared? Now employers with 5 or more employees must provide training to both employees and supervisors! Beginning January 1, 2019, California law requires employers with 5 or more employees to provide employees and supervisors with sexual harassment training, upping the ante from previous requirements that included sexual harassment training for supervisors of employers with 50 or more employees. The deadline for initial compliance is January 1, 2020. This library includes both video and nonvideo versions of our 2-hour supervisor training course as well as our newly released 1-hour employee training course. The courses provide California employers with everything needed to satisfy California regulations, including a 1- or 2-hour minimum course length, interactive content, “Ask a question” feature with a 2-day turnaround, and employee policy acknowledgment. Applies to any company that has 50 or more employees in the state of Delaware! 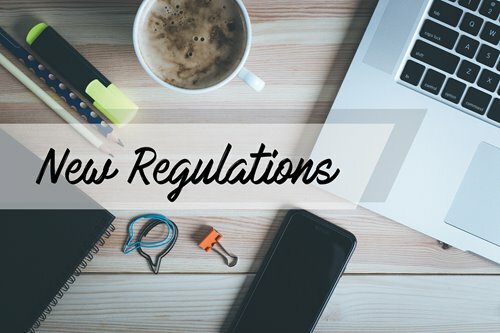 This library includes training for both employees and supervisors to cover the new regulations for the state of Delaware. These regulations apply to employers with at least 50 employees in the state. Training must be completed by the end of 2019 for existing employees and within 1 year for new employees. Employers must provide new supervisors with training within 1 year of starting in a supervisory position, even if they have completed the employee training. Employers must provide “interactive training and education to employees regarding the prevention of sexual harassment.” TrainingToday® has you covered with our new Preventing Sexual Harassment in Delaware interactive training library. Applies to any company that has employees in the state of New York! Our course is web-based with an "ask the expert" button to allow learners to ask questions to be submitted to our team of in-house attorneys and experts. The course will also include a survey to provide feedback about the training and materials presented.